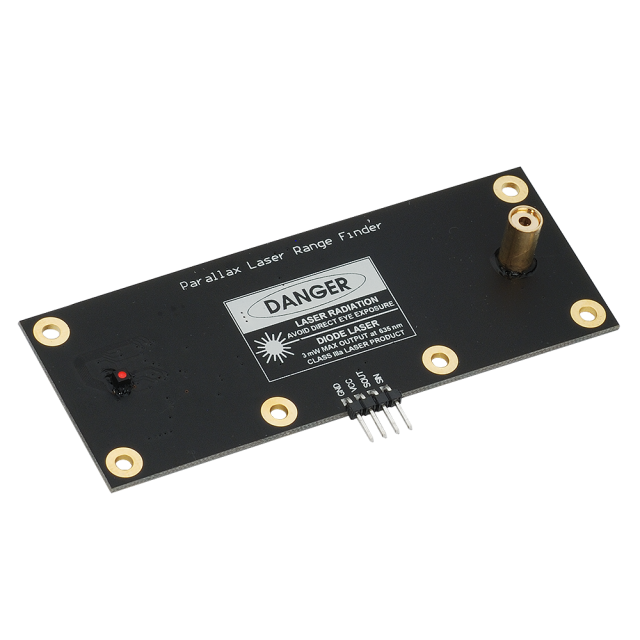 Laser Range Finder Open Source Hardware Files. Laser Range Finder Product Document. 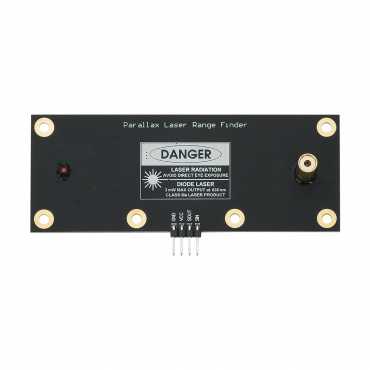 Laser Range Finder Propeller Example Programs. Laser Range Finder BASIC Stamp Example Programs. Laser Range Finder Image Viewer. Laser Range Finder Mechanical Drawing. Laser Range Finder Bill of Materials. A Simple Method for Range Finding via Laser Triangulation. Designed in conjunction with Grand Idea Studio, the Parallax Laser Range Finder (LRF) Module is a distance-measuring instrument that uses laser technology to calculate the distance to a targeted object. 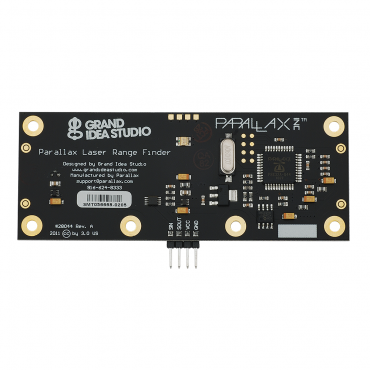 The design uses a Propeller processor, CMOS camera, and laser diode to create a low-cost laser range finder. Distance to a targeted object is calculated by optical triangulation using simple trigonometry between the centroid of laser light, camera, and object. Compact module with integrated CMOS camera and laser system. Optimal measurement range of 6–48 inches (15–122 cm) with an accuracy error <5%, average 3%. Maximum object detection distance of ~8 feet (2.4 meters). Range finding sample rate of 1Hz. Single row, 4-pin, 0.1” header for easy connection to a host system. Distance or liquid level measurements. Power requirements: 5 VDC @ 150 mA. Communication: Asynchronous serial; 300–115,200 baud with automatic baud rate detection. Dimensions: 3.95 x 1.55 x 0.67 in (10.05 x 3.95 x 1.7 cm). Operating temp range: +32 to 122 °F (0 to +50 °C). DANGER! Class IIIa Laser Product, 3 mW Maximum Output @ 635 nm, Avoid Direct Eye Exposure.